Want Us to Sell Your Book? Phoebe Siegler first meets Charles Heist in a shabby trailer on the eastern edge of Los Angeles. She’s looking for her friend’s missing daughter, Arabella, and hires Heist to help. A laconic loner who keeps his pet opossum in a desk drawer, Heist intrigues the sarcastic and garrulous Phoebe. Reluctantly, he agrees to help. The unlikely pair navigate the enclaves of desert-dwelling vagabonds and find that Arabella is in serious trouble—caught in the middle of a violent standoff that only Heist, mysteriously, can end. 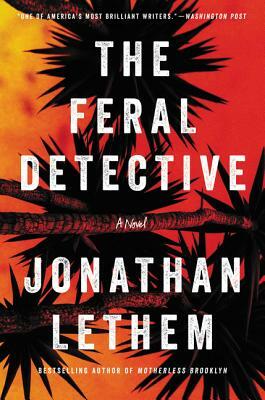 Phoebe’s trip to the desert was always going to be strange, but it was never supposed to be dangerous. . . .
Jonathan Lethem’s first detective novel since Motherless Brooklyn, The Feral Detective is a singular achievement by one of our greatest writers. Jonathan Lethem is the New York Times bestselling author of ten novels, including The Fortress of Solitude and Motherless Brooklyn, winner of the National Book Critics Circle Award. He currently teaches creative writing at Pomona College in California.